The Avengers marked the end of Phase One of the Marvel Cinematic Universe and come next year a new story line will unravel with the character that started it all. 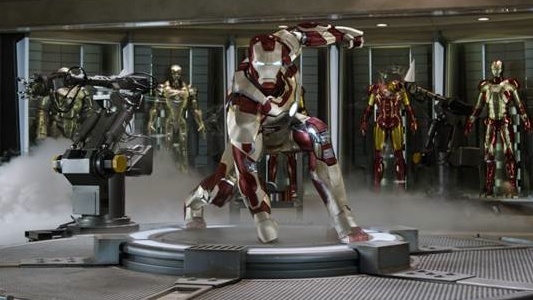 Iron Man 3 is still 6 months away and we have already seen one massive trailer that just wowed audiences everywhere. Shane Black (Kiss Kiss Bang Bang) takes over as director and is setting a new tone for the film and will attempt to recapture the “lighting in a bottle” that we saw in the first Iron Man. While each installment is different, in terms of the Marvel Cinematic Universe, they are just a piece of a very bigger picture. The events of The Avengers have changed Tony, but he is about to go up against The Mandarin, a villain so powerful that he will strike him where it hurts. So will any of them help him during his time of need? Feige has an answer to that as well. I just love how Feige is playing coy about what happens to Tony’s House. It leaves the door open for other villains to appear in the film. I am also glad that they are straying away from the “Fu Manchu stereotyping” and making him a villain who should be known for his “relentless” personality and not his looks.